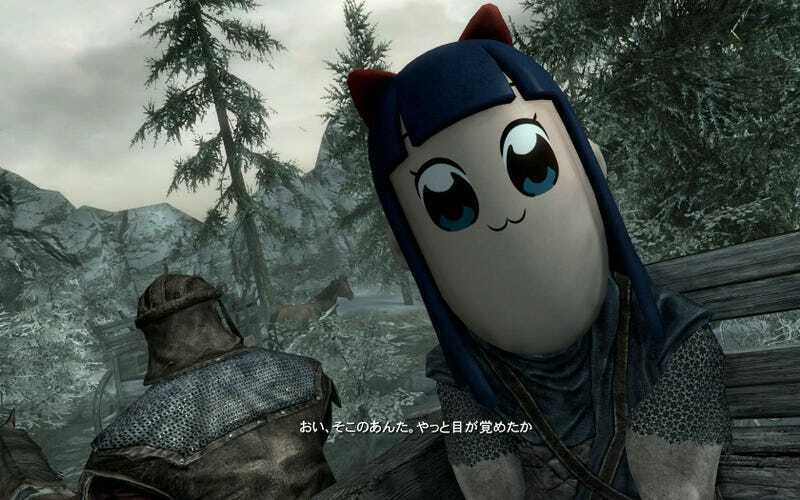 Since anime Pop Team Epic recently featured a Skyrim reference, someone decided to go ahead and make the inevitable happen by modding Pop Team Epic into the game. Here is the nod in the Pop Team Epic anime. Created by modder Higeyoshi, have at look at Skyrim’s opening sequence with the Pop Team Epic girls. What&apos;re The Biggest Mods In Skyrim These Days?